The Shires Moretta Lorenza Paddock Boots are an elegant and stylish short boot offering great support for your foot whilst you are riding. Made from handcrafted full grain leather with a high grade wax finish and lined with soft leather which is perforated for breathability. The Anti-Shock contoured soles feature steel shanks to offer arch support and reduced stirrup pressure aiding in preventing muscle fatigue. These Moretta Paddock Boots feature a strong YKK zip in the front of the boot, rot proof twin stitching for strength and durability, light padding around the elastic insert at the ankle for comfort and punched leather detailing. 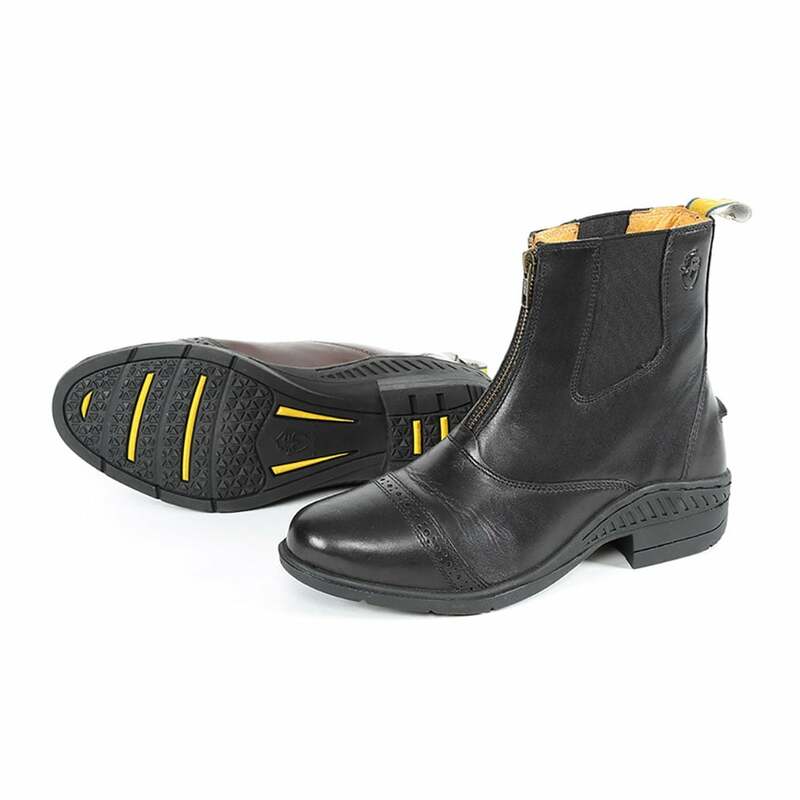 These Shires Paddock Boots feature a Contour-Flex insole which is inspired by orthopaedic technology. This three-layer system provides you with heel impact protection, response reflex zone air cushioning with arch support and stability shield with air vent technology.